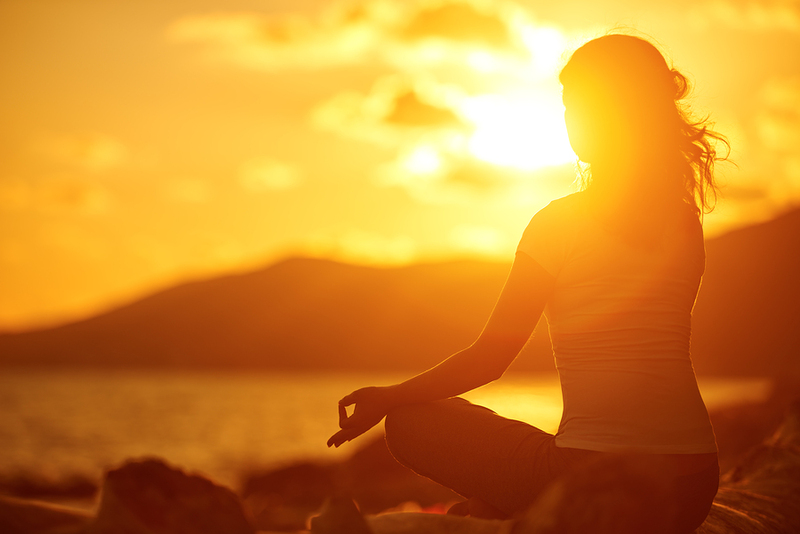 Find Inner Peace at Sunset Yoga at Captain’s Quarters July 18 | Joe Hayden Real Estate Team - Your Louisville Real Estate Experts! Quiet your mind and relax near the water on July 18, and get zen with a little sunset yoga at Captain’s Quarters. When you’re done, enjoy a cocktail or have dinner inside while you look out at the water. Sunset Yoga begins at 7:15 at the Captain’s Quarters Riverside Grille in Prospect. That’s at 5700 Captain’s Quarters Road, along the banks of the Ohio River. You’ll see the sun sparkling on the water, along with lots of fancy boats, while you connect with your inner peace. Class costs $10 per person. A trained yoga teacher leads the class, which lasts about 75 minutes. When you’re done, you’ll feel energized and more peaceful -- the perfect mood to be in to enjoy Captain’s Quarters and the rest of Prospect. Bring your own mat, and show up early to take a look around the area before class begins. The more time you spend in Prospect, the more you’re going to love this peaceful part of Louisville. Several homes in Prospect have river views, because the neighborhood sprawls out from the banks of the Ohio toward the rolling waters of Harrods Creek. This gives Prospect plenty of natural beauty that first drew farmers here over 100 years ago. They envisioned living among the rich green grasses and rolling hills, and you might start having dreams when you see this neighborhood, too. Prospect has lots of places to enjoy natural beauty, including the Woodlands Park and the Hunting Creek Country Club. Prospect is known for having big homes and big lots that create plenty of space between neighborhoods. This creates that feeling that you're out in the country, but Prospect is just minutes away from the Expressway and the Interstate. You can find any kind of home in Prospect, from gorgeous modern farmhouses to amazing contemporary mansions to classic traditional homesteads that have been renovated over the years. Large family homes, luxury townhouses -- it's all in Prospect, and in many cases it comes with all sorts of features. Many homes here have swimming pools, big basements and high-end features, like granite countertops and other fancy details everyone wants. Take a peaceful drive through Prospect this July, and you may find that this neighborhood is your new happy place.